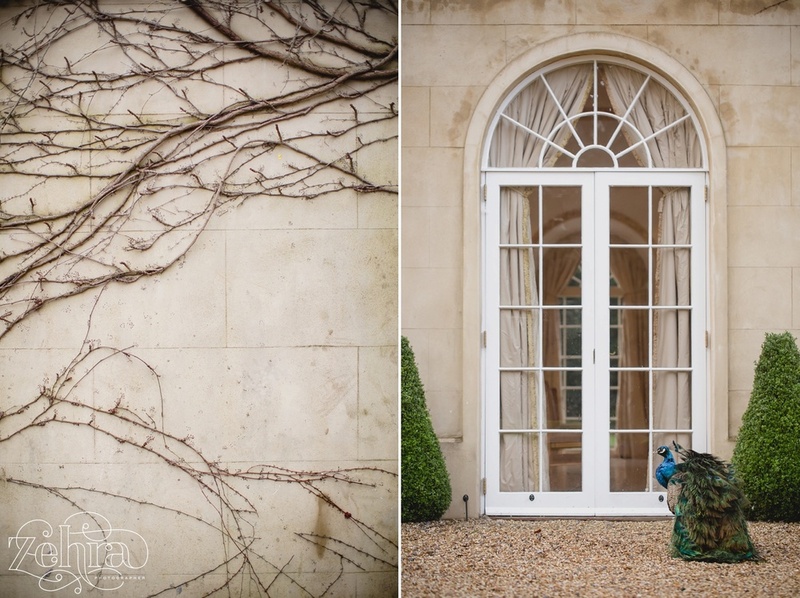 Here are some highlights from their very beautiful and intimate winter wedding at the Lovely Northbrook Park, one of my favourite venues. Northbrook Park is set on lovely grounds in Hampshire, with peacocks casually roaming and showing off their beauty. 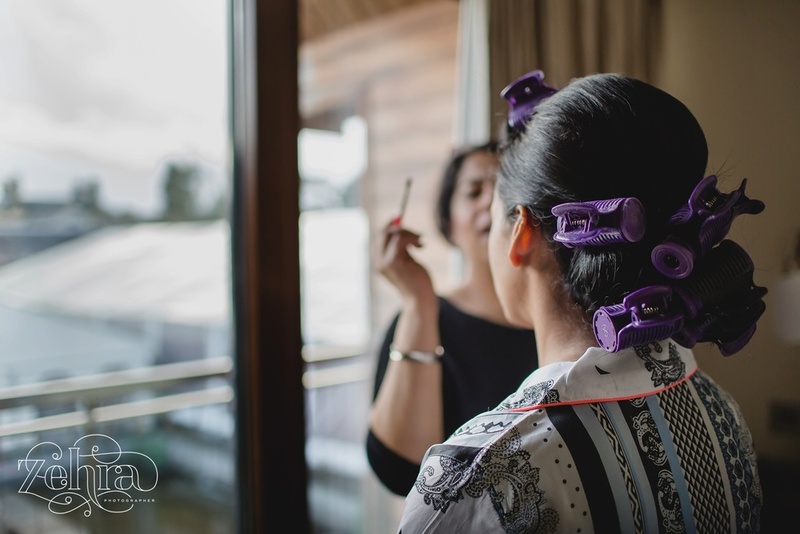 The day started off with Salma getting ready with the help of the lovely Naveeda, who as always worked her beauty magic with smokey eyes and pink lips, perfect for a day through night wedding. Salma had her hair done in a graceful low bun, they way bollywood stars used to rock it back in the 70's. 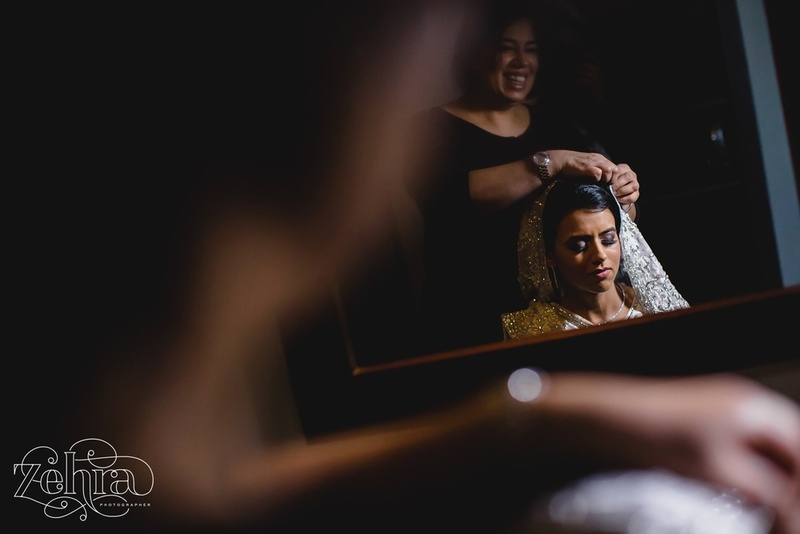 If you don't know already, Naveeda is one of my fave artists, not only does she know how to crack jokes and make brides relax, she is phenomenal with hair styling and making sure makeup stays put all day. 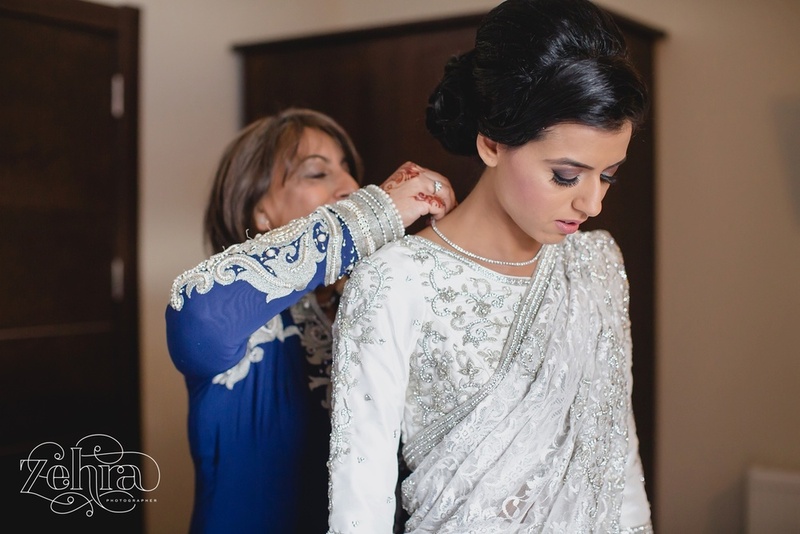 Salma chose an intricate white sari with silver beadwork that draped ever so elegantly over her shoulder. The ceremony started with Bobby arriving in true style with his family, led by traditionally dressed dhol players into the Vine Room. 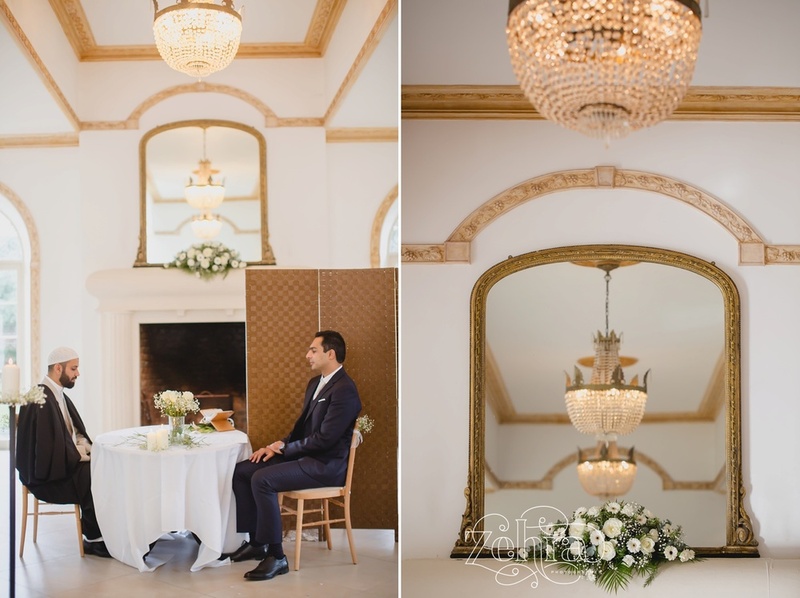 The Vine Room was breathtaking, with floor to ceiling windows, marble floors and delicate golden detailing. 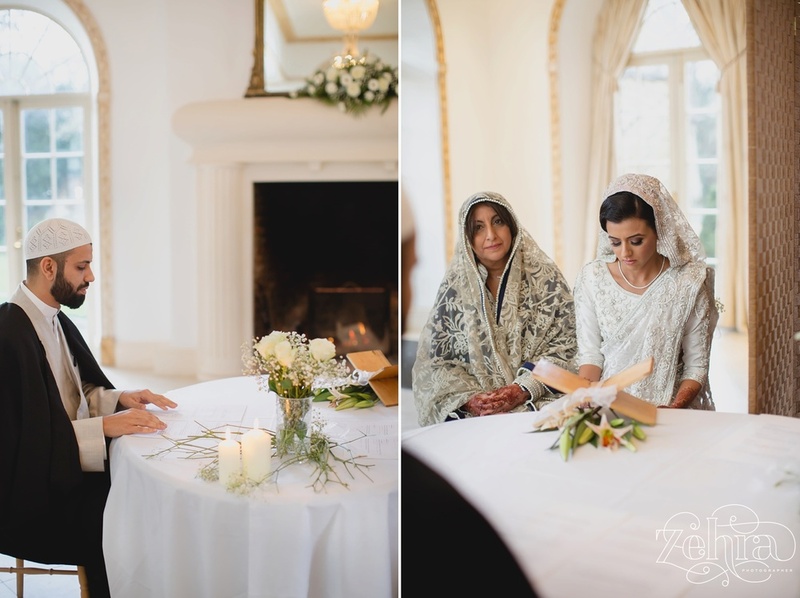 Salma arrived shortly after and sat behind a screen during the religious Nikah ceremony with her mum. The whole room had an air of warmth on a sunny winters day with an open log fire and sunlight spilling through the windows. The ceremony itself was intimate, with close family in attendance. Salma's grandparents from Kenya were even present via facetime with the grace of technology. Once the ceremony was over, the screen was removed and for the first time that day, Bobby met Sally. 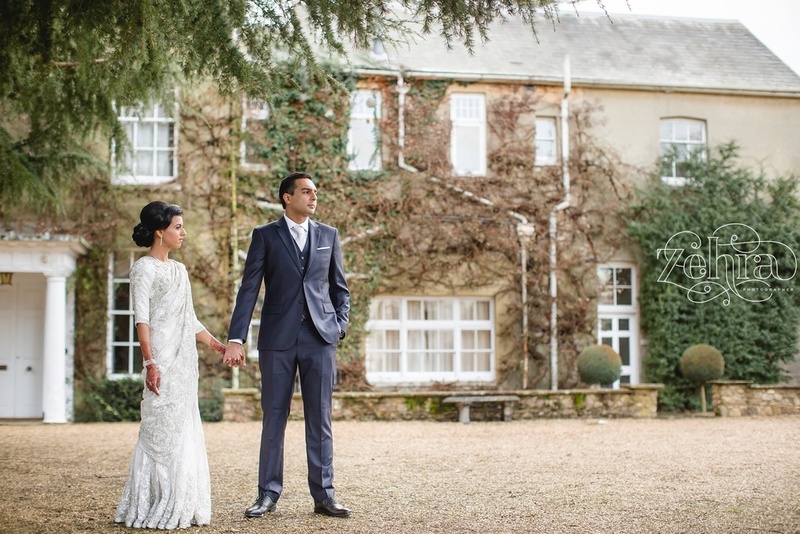 Whilst the guests were enjoying their canapés we snuck away to capture some portraits of Salma and Bobby, with secret garden style courtyards and the beautiful traditional Entrance Doorway setting the scene. Despite being absolutely freezing, we got some great shots and even managed to experience an amazing sunset, to which Salma wanted to dance in! 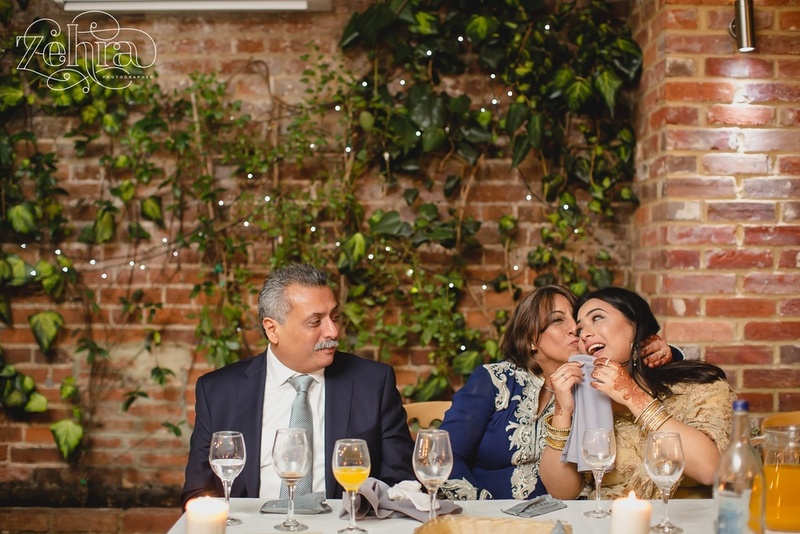 With excited guests cheering on, Salma and Bobby entered the quaint Orangery to Salma’s cousin singing a Bollywood number in a soft yet strong voice, I can only describe the atmosphere as magical. The Bride and Groom sat down to hear some of the most heartfelt speeches I have ever heard. Even I was laughing and crying behind the camera. You’ll see the décor was beautiful and looked like something off Pinterest. Impressively, most things were curated, made and arranged by Salma and her friends and family, from the centerpieces to the seating plan. Who would think slices of log, arranged with candles and gypsophila (baby's breath) would make such beautiful fresh centerpieces? Salma's naked cake was simple but set off beautifully by the fairy lights in the background, made by the lovely Tahera at Tyza cakes. The seating plan was a gift, handmade by one of Salma's friends, I love the little flags and that every single letter was handwritten. All the décor was brought together with cream florals and a hint of gold. 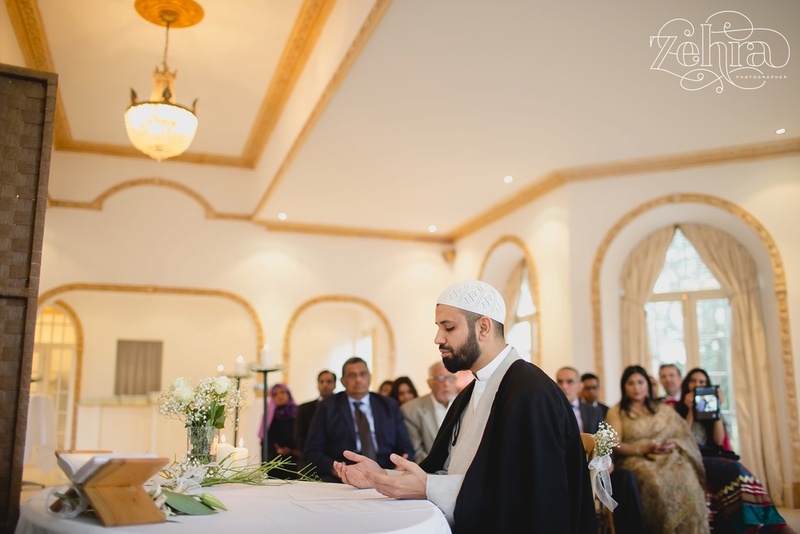 The thing I loved about this wedding was the importance of family and friends, for all of life. The guests in attendance were all very close to the Bride and Groom, and had flown from Japan, San Francisco, Hamburg, Nairobi to name a few. It was clear how much Salma and Bobby adore their families, and how much they are adored. 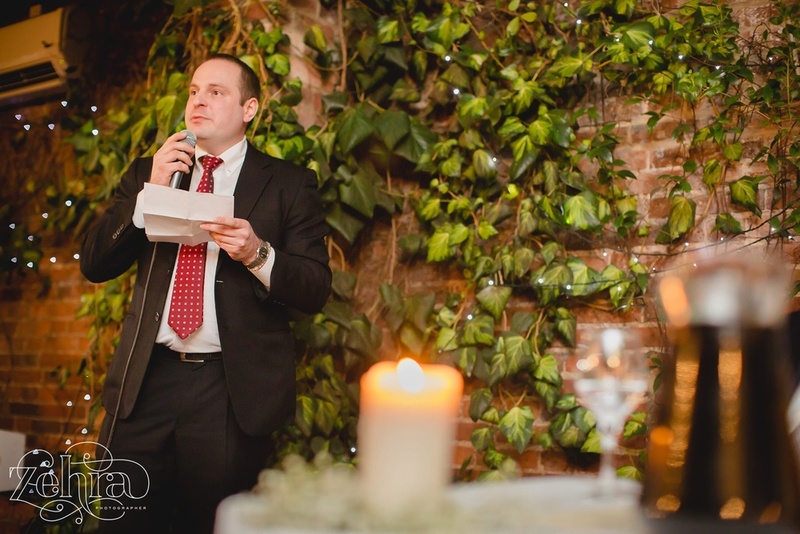 There were lots of tears, of joy and laughter at this wedding, making it a clear favourite.